A setting by Amanda Husberg of her own tune NO CHILD for SATB choir, keyboard (organ or piano), and optional flute. 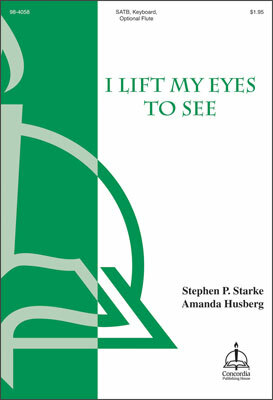 The text by Stephen P. Starke is a hymnic paraphrase of Psalm 121 with a doxological final stanza. Psalm 121 is used on Lent 2 (A and one-year), Proper 24 C, and St. Bartholomew.